We're surprised to be back here so soon, but in less than a week HTC have apparently changed their minds yet again on the final name for their much talked about, quad-core smartphone, the device we originally called the HTC Edge. Based on word we'd received last week, HTC made the decision to give their first quad-core device the name 'Endeavor'; a fitting title as HTC aim to be the first to cross the quad-core threshold for Android smartphones in 2012 using this device. With less than two weeks until the device's final unveiling in Barcelona, it would now appear that HTC have undergone a change of heart yet again and are now taking the device in a new direction. From the 'Edge', to the 'Endeavor' and finally to the 'One X'. The HTC One X (note the "X" will be written as superscript) is expected to start the trend for a new naming convention used by HTC in 2012. Interestingly enough, a subcontractor of HTC's has already reserved the Danish URL, htc-one-x.dk. Not only that, HTC themselves clearly toyed with the idea of naming a device as such, as they trademarked the name in Europe last year. As we've said before, the HTC One X will make its official debut at Mobile World Congress in Barcelona later this month and alongside its quad-core form, we're hoping to get a look at another long-standing device rumored to be coming out of HTC. 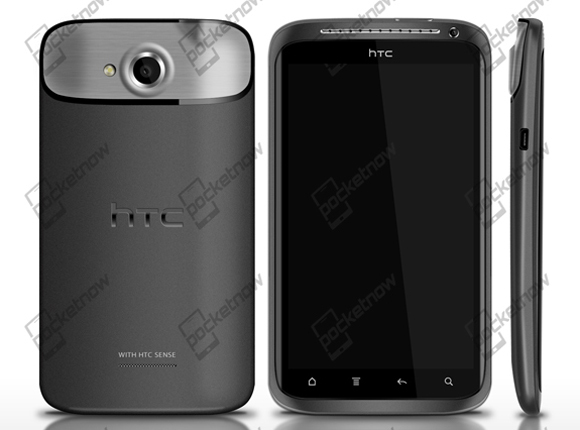 The HTC Ville, a sleek dual-core phone that fellow tech-site SlashGear are claiming will launch under the guise of the HTC One S, playing back into the One X's new naming convention perfectly. We'll have to wait and see about that however. What's the possible selling pricr guys? Kinda like the name, I think it will really catch on. Galaxy S III or no Galaxy S III, HTC new handsets are the handsets I'm most looking forward to seeing. Big up HTC !! !